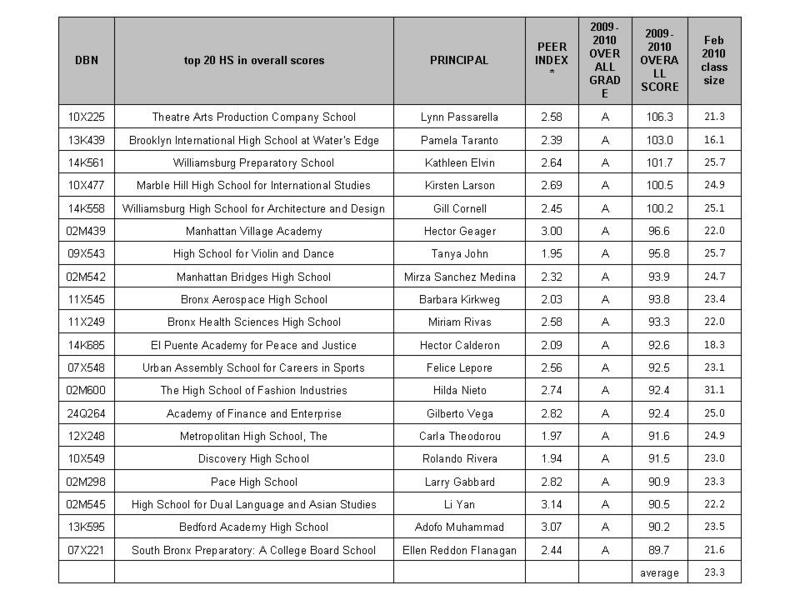 Today the high school progress reports were released for 2009-2010; here is an excel spreadsheet. Yet experts continue to have grave reservations as to their reliability, with DOE placing far too much emphasis on test scores and especially the "progress" component, which means one year's changes in test scores, credit accumulation, passing rates etc., which have found to be extremely erratic and statistically unreliable. For more on this see this study, and this previous posting. 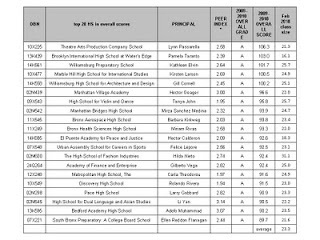 We have also seen the extremely damaging effects of this high-stakes accountability scheme, causing principals to increasingly "game" the system, that is, encouraging their teachers to "scrub" the scores, and or raising the scores themselves to passing, and/or awarding credits to students who either didn't actually pass their courses or even take them. Two articles in the past few days have revealed this occurrence at high schools in Queens and Manhattan; these practices are disturbingly widespread, and often occur with DOE's knowledge. As the controversial teacher data reports take class size into account as a limiting factor as to how much a teacher is expected to raise test scores; it would only be fair for the DOE to take this factor into account as well with the school progress reports, especially as many high schools are allowed to cap enrollment and thus class size at far lower levels than other high schools. I can't believe you cited class size. Both groups have an average of less than 25 kids / class, with an overall average difference of 1.6 kids. Unreal. You are so obsessed with this issue it's not even funny. 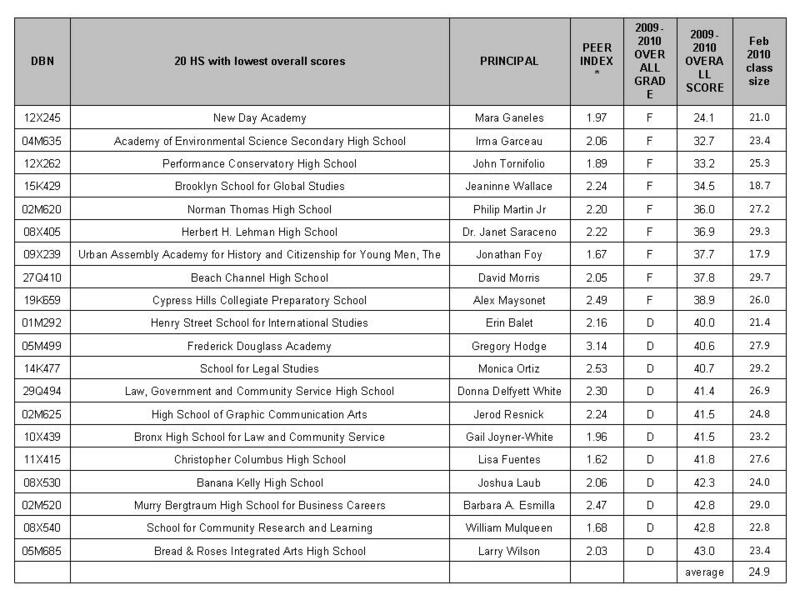 How do you explain high performing schools with large class sizes? 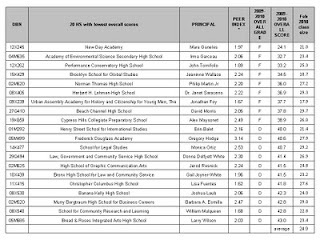 Are you saying an average of 24.9 is big for high school?